Find out how our team of top eye surgeons is helping Torrance seniors enjoy clear cataract-free vision. Our extensive inventory of stylish frames guarantees you will look great while enjoying crisp sharp vision. You might be surprised to learn just how safe, easy & affordable LASIK can be. The only thing you stand to lose is your glasses or contacts. LASIK is one of the most popular procedures at our Torrance office. Shedding your glasses and contacts is only a simple one hour procedure away. Our Torrance cataract center uses state-of-the-art equipment to provide convenient and safe relief from cataract related blurred vision. World-class LASIK surgery is routine at our Atlantis Eyecare center in Torrance. We have performed thousands of LASIK procedures through our years of service to Southern California residents. Preventing blindness is a top concern at Atlantis Eyecare. Our Torrance center screens for glaucoma during eye exams and provides cutting edge treatment for those diagnosed with glaucoma. World class eye care is close and convenient with the opening of our Torrance Atlantis Eyecare Center. Our team is comprised of leading specialists in all fields relating to eye health, vision correction and disease management. From the thousands of LASIK surgeries we have successfully performed, to performing among the best cataract surgery Torrance has available, the staff at Atlantis Eyecare goes above and beyond the standard of care provided by the competition. Our facility is fully accredited and committed to providing safe, cutting-edge vision restoration treatment for the whole family. The eye surgeons at Atlantis Eyecare have helped thousands of patients regain clear vision through state-of-the-art cataract surgery. With the latest technology advances, our surgeons can offer refractive lens exchange which improves vision to a much greater degree than simply removing cataracts. 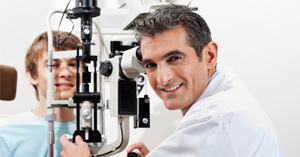 Atlantis Eyecare Torrance is proud of the caliber of eye doctors who not only deliver among the best eye care in Torrance, but regularly contribute to furthering the field of eye care, eye correction and the treatment of eye diseases like glaucoma. They are part of a dedicated team of eye care professionals who focus on providing top notch care to all ages of patients. 30,000 Atlantis Eyecare patients have discovered the freedom of living without glasses or contact lenses through laser vision correction. Our specially trained eye care physicians are uncompromising in their commitment to providing a level of care second to none. We have earned the trust of our many patients due to the vast reservoir of experience and knowledge that our doctors command. Atlantis Eyecare is focused on making the eye care experience pleasant, safe and above all… effective. The standard of care is perfection; all of our doctors and support staff are committed to achieving the best outcome possible for each patient. We like to get to know our patients to learn what their specific quality of life issues are in relation to their vision. Once we have a firm understanding of the goals of our patients, we develop a unique treatment plan composed of cutting edge eye care technology combined with compassionate and caring treatment. Our patients report that they know they are in the hands of top tier eye care professionals who can truly help them with their eye care problems. Cataracts are one of the most common conditions treated by our eye care surgeons at Atlantis Eyecare Torrance. 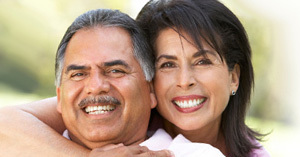 We are proud to offer cataract surgery by some of the most knowledgeable and experienced surgeons in California. Our surgeons are fully credentialed and certified in their specialized fields which ensure that our patients receive among the best cataract surgery Torrance can offer. Our Torrance cataract surgeons strive to remain current on the latest advances in the field of cataract surgery and many of them find the time to present their improvements and findings at their annual professional meetings. An exciting development for those with cataracts is a great technique known as refractive lens exchange. 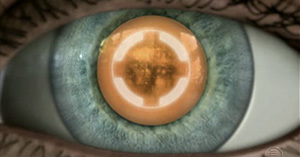 This procedure greatly improves natural vision by exchanging a flawed biological lens for a premium intraocular lens. Our top eye surgeons at Atlantis are fully trained and certified to deliver this significant life changing surgery which restores clear, bright and absolutely accurate vision in a short, painless surgery. There is a broad selection of lenses that can be used in this technique. Your eye care specialist will suggest the best lens to help you attain the best possible vision outcome for you. Most insurance plans cover cataract surgery, however if you need help we have insurance experts who can help you determine your insurance benefits. We may or may not be a preferred provider, but at Atlantis Eyecare Torrance we will help you sort through the confusion to ensure you get the maximum benefits from your plan. For treatments not covered by insurance, we offer financing through CareCredit. They are very flexible on payment plans and one of our patient counselors will be happy to assist you in choosing a plan that fits your needs. Our top priority is providing top tier eye care services for all those who need vision care; from a simple prescription for corrective lenses to advanced refractive lens exchange surgery. Our physicians are leading specialists in the fields of cataract surgery, glaucoma treatment, vision correction and LASIK surgery. We have delivered over 100,000 successful procedures over decades of practice, restoring clear vision and a boost in enjoyment of life activities. Our support staff is focused on making your eye care experience pleasant and stress free with your greatly improved vision being the end goal. Our convenient Atlantis Eyecare location in Torrance is the latest addition to our six other offices located throughout Southern California. I want to express to you how pleased I am with your care for me in the cataract surgery on my right eye. The results far exceed my expectations. My sight has been restored and that improves my enjoyment of my life. Thank you! Thank you for doing cataract surgery as well as eyelid surgery. You have a great bedside manner that is so refreshing from all other medical people (doctors) that I have encountered. You were kind courteous and efficient. Think I've died and gone to heaven each time I continue to reach for my glasses which went out with the garbage right away. I wish to thank you most profoundly for your professional and sensitive treatment of my eye problems during 2-years of our association. My sight now is excellent. It is, thanks to you, the greatest gift I could possibly receive.